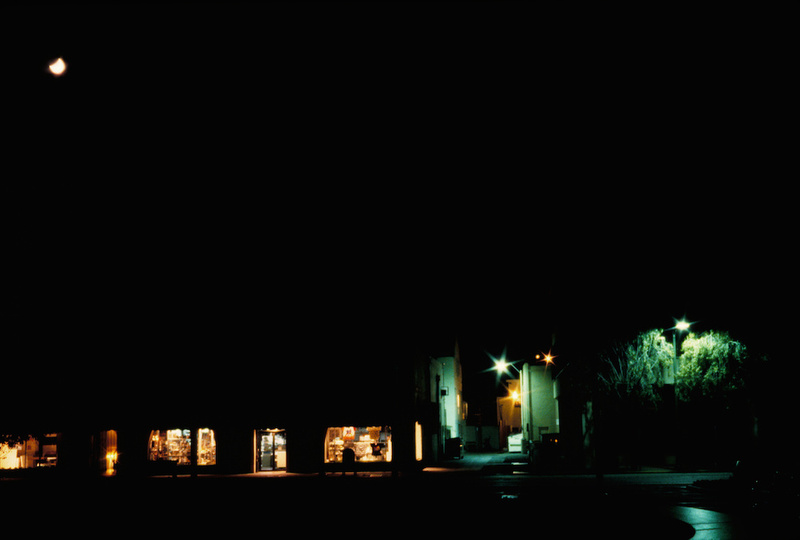 Shops along Ramona street in downtown Palo Alto, California on a Sunday night. Taken in April, 1990 with a Minolta XG-M and 50mm f1.7 lens on Ektachrome 400, scanned on a Polaroid SprintScan 35+, then cleaned up, color corrected, and cropped in Photoshop 7. As with many of my older pictures, aperture and exact exposure time are a faded memory.